Hey, Midwest: Keep your stinkin’ pollution! Those of us who live downwind of the Rust Belt states have been breathing their fumes since the early days of the Industrial Revolution. We have done a pretty good job (I know, I know: we have a ways to go) to clean up our own skies. Here in Massachusetts, we have a mix of nuclear, fossil-fuel, and alternative energies, and we have a comparatively high-tech economy that does not depend on digging up long-dead plants and dinosaurs and burning the carbonic residue. So, the last thing we want to do is have our skies polluted by your fossil-fuel plants. The East Coast states. . . have for more than 15 years been subject to stricter air pollution requirements than many other parts of the country. 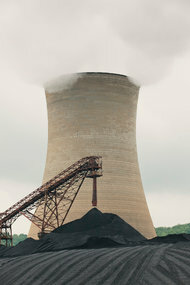 Their governors have long criticized the Appalachian and Rust Belt states, including Ohio, Kentucky and Michigan, for their more lenient rules on pollution from coal-fired power plants, factories and tailpipes — allowing those economies to profit from cheap energy while their belched soot and smog are carried on the prevailing winds that blow across the United States. And, Midwesterners — While you are cleaning up your act, please do me a favor: Tell your industry trade groups to stop buying time on television to sell me on the virtues of “clean coal.” There is no such thing as clean coal and never will be. Let’s grow up and move on. Don’t waste your time trying to cling to fossil fuels. The sooner you give them up, the better off you’ll be — not to mention everyone downwind. Having just returned from two weeks in China, I can confirm the point made in a story in today’s New York Times: China’s air is filthy. People routinely wear surgical masks just to avoid breathing in all the particulates. It feels like Pittsburgh or Manchester of the late 19th Century. Even as some officials push for tighter restrictions on pollutants, state-owned enterprises — especially China’s oil and power companies — have been putting profits ahead of health in working to outflank new rules, according to government data and interviews with people involved in policy negotiations. 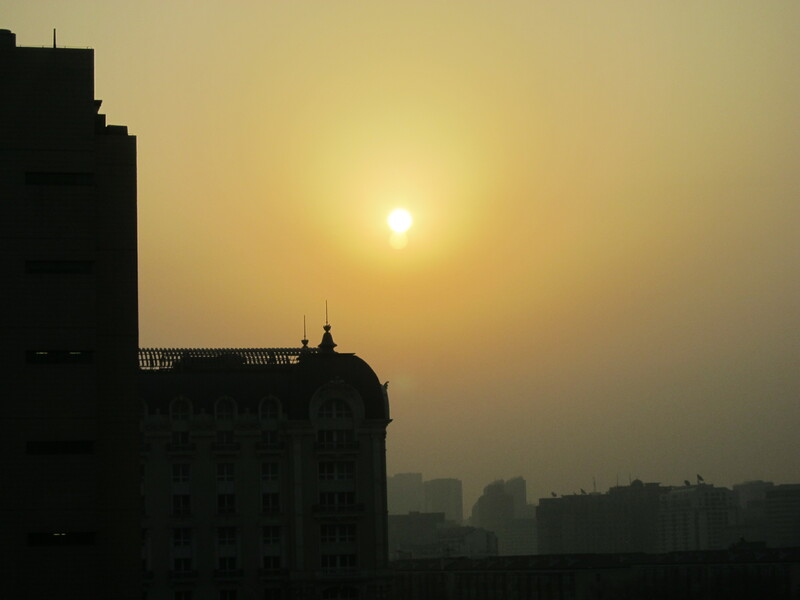 –We in the States should be aware that China is subsidizing our own clean skies by putting up with the pollution that makes their products so cheap. Walmart and other retailers could not stock their shelves with such low-priced goods if China took the necessary steps to clear its own skies. If they really insisted on air that is as clean as that in the US or Europe, China would have to install scrubbers, switch to cleaner fuels, and invest in a lot of new greener technology. In that case, the price of manufacturing would go up, and we would have to pay a bit more for all the cheap stuff we import. Which would not be the worst thing. 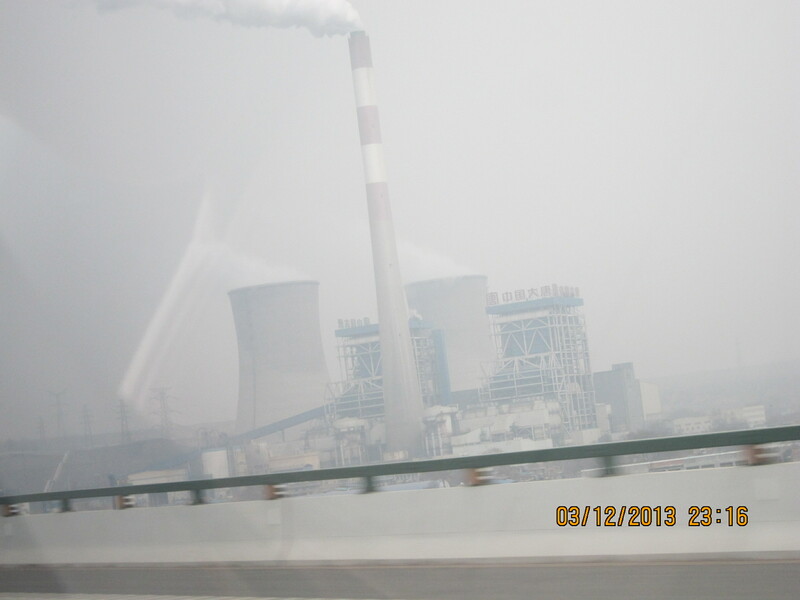 Power plant in Xi’an, China. It really is that bad.